Did you know that you can still BUY a home in an amazing Denver neighborhood well below the market price? And did you know that it can be easy and profitable to SELL a property, too? 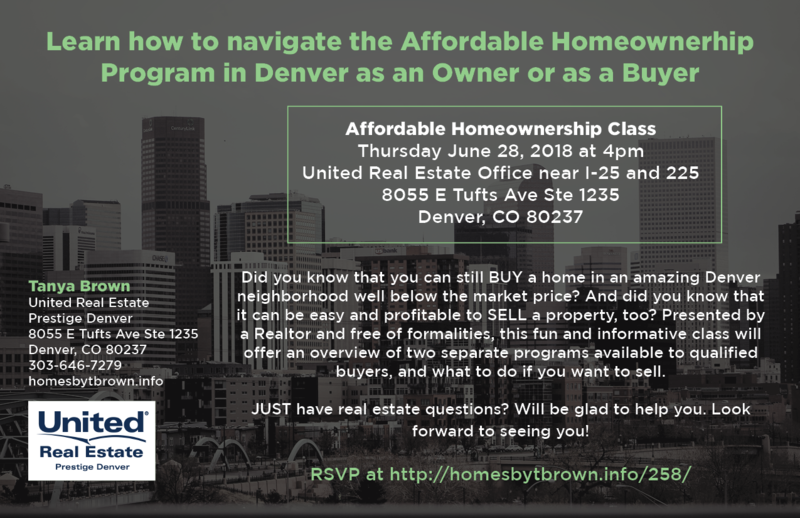 Presented by a Realtor and free of formalities, this fun and informative class will offer an overview of two separate programs available to qualified buyers, and what to do if you want to sell. JUST have real estate questions? Will be glad to help you. LENDER in the house, too! NOT MAKING IT? Next date is July 26, 2018 – same time, same place!